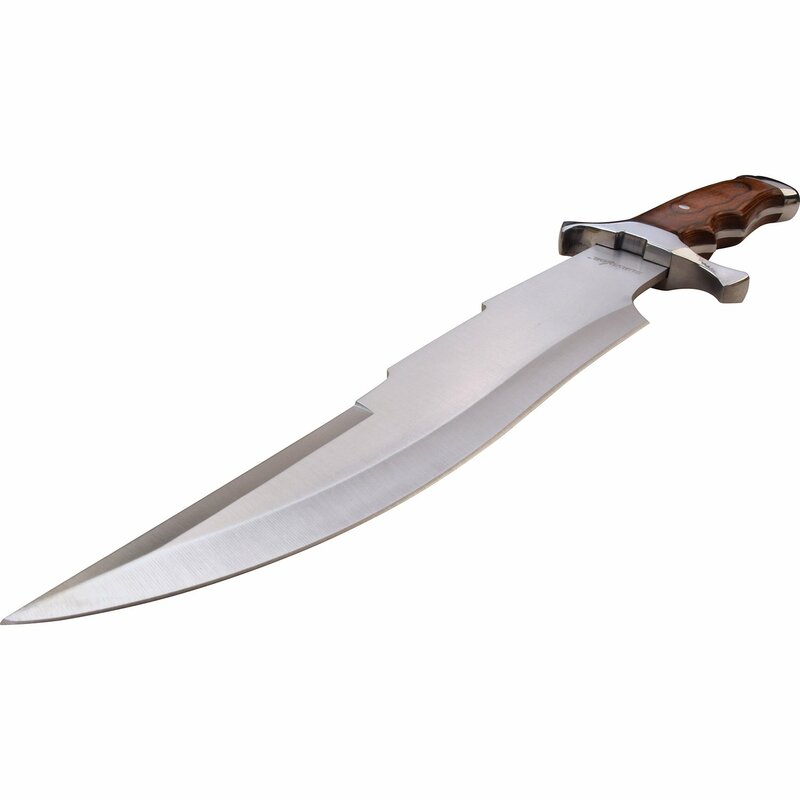 Full tang fixed blade knife with bowie blade. The knife is massive 14.5 inches long. Big bowie survival knife. 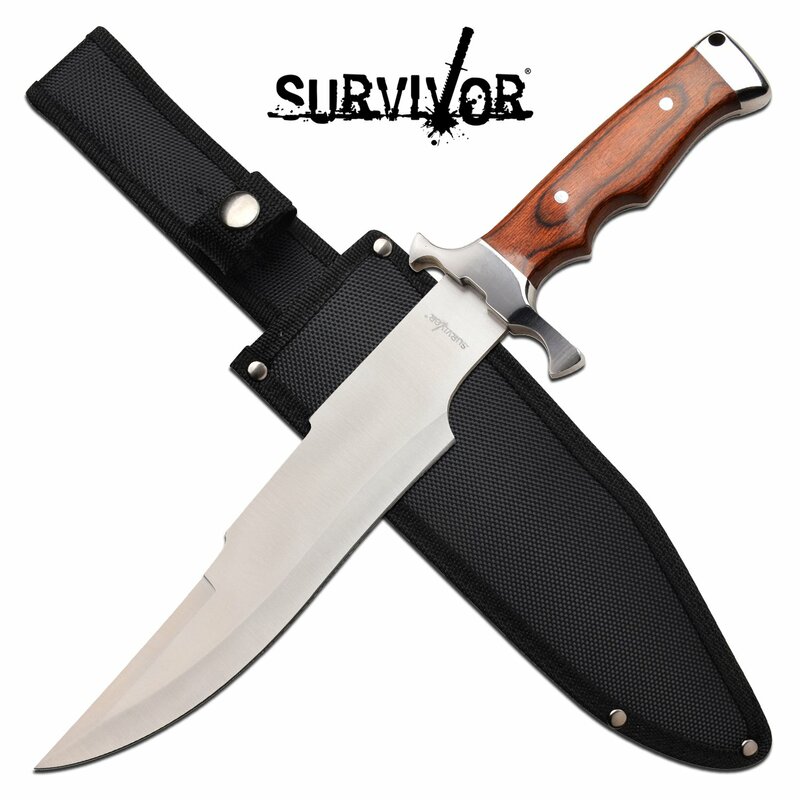 The fixed blade knife is massive 14.5 inches long. 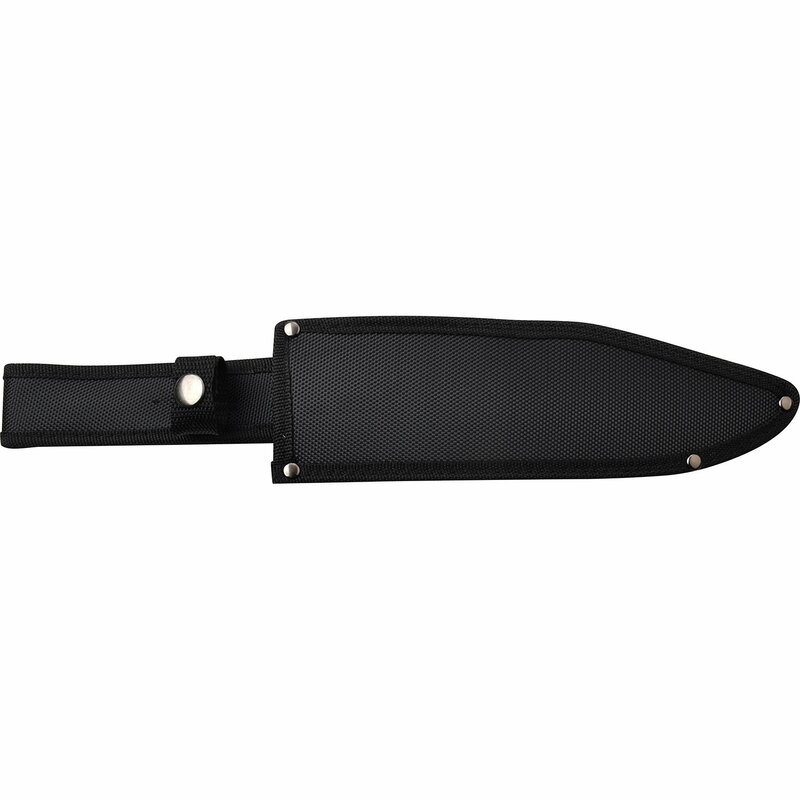 The full tang knife comes with a nylon sheath and in a box. 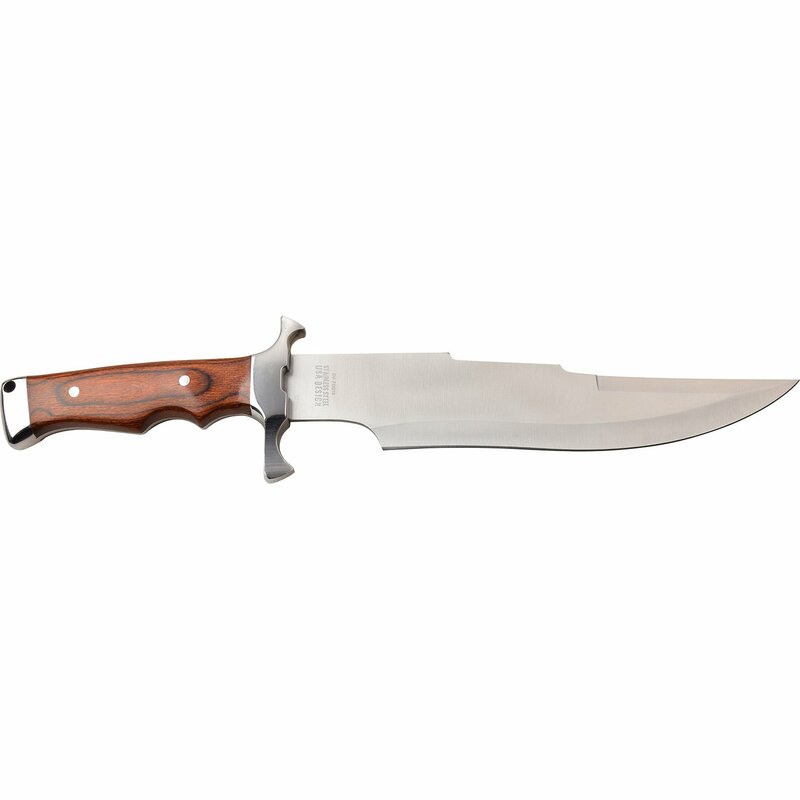 9.5 inch 3cr13 stain steel bowie blade is razor sharp. 5 inch pakkawood handle and stainless steel guard.